MYTH #1. ‪When you stop working out, muscles will turn into fat. TRUTH: Nonsense! Muscle has never turned into fat, nor has fat turned into muscle. During weight training, more energy is required, and a larger appetite is required to generate energy. When a person stops working out, the need for extra energy stops as well. MYTH #2. When you eat after 8 pm, the food will turn into body fat. TRUTH: Nonsense! People who work out during the latter part of a day should eat accordingly. When the body needs to repair and rebuild, fuel is needed; the body does its most active repair work during sleep. It’s best to eat healthier foods—lean meat, vegetables and fruits--later in the day to avoid fat deposits, and give the body at least two hours to digest the food before going to bed. MYTH #3. If you want six-pack abs, you’ll need to do at least a thousand sit-ups a day. TRUTH: Nonsense! Everybody has six-pack abs. Abdominal exercises alone don’t deliver six-pack abs; fat reduction does. MYTH #4. ‪Stretching and warming up are a waste of time. TRUTH: Nonsense! It’s essential to spend at least 10 minutes stretching and warming up before exercise. This helps you to avoid sprains and injuries. MYTH #5. Use supplements to boost muscle growth and strength. TRUTH: Nonsense! There are only two ways to make the most gains in mass and might: a good training program and a well-planned diet. MYTH #6. Weight training makes women look beefy. TRUTH: Nonsense! To look “beefy,” you need to ingest testosterone, and lots of it. MYTH #7. ‪Your body weakens with age. TRUTH: Nonsense! Regular exercise and a low-fat diet produce increased energy levels, leaner body mass, and optimal body fat percentage. MYTH #8. Don’t drink water when your body’s overheated. TRUTH: Nonsense! Drink a cup every 15 minutes of exercise to keep your muscles oiled and your body productive. MYTH #9. You should exercise in the morning. TRUTH: Nonsense! ‪ The best time to exercise is the time that works best with your schedule. It’s true, however, that people who work out in the morning are more likely to stick to their fitness plans because they are able to get it done before other things compete for their time. MYTH #10. You can get a week’s worth of exercise by working out just on the weekend. TRUTH: Nonsense! It’s much better to spread workout time throughout the week instead of pounding the body during weekends. Your blood pressure and glucose levels are temporarily lowered during each exercise, which are beneficial in the long run. Exercising regularly also keeps your appetite consistent. The Mediterranean diet is not a specific diet plan or diet program but a collection of eating habits that are traditionally followed by the people of the Mediterranean region. There are at least 16 countries bordering the Mediterranean Sea and food habits vary between these countries according to culture, ethnic background and religion. Protection from chronic diseases. In a recent study the diets of more than 22,000 people living in Greece were ranked according to how closely they adhered to the traditional Greek style Mediterranean diet. During the four years of the study, it was found that the closer people followed the traditional diet the less likely they were to die from either heart disease or cancer, with slightly greater protection against heart disease than cancer. Overall, people following the Mediterranean diet most closely were 25% less likely to die during the study period than those who did not, suggesting that those closely following the Mediterranean diet end up dying later than those who do not. Olive oil. Olive oil is first choice for investigation as it is used almost exclusively in Mediterranean cooking instead of butter, margarine and other fats. Olive oil is a rich source of monounsaturated fat, which is protective against heart disease, possibly because it displaces saturated fat from the diet. Olive oil is also a source of antioxidants including vitamin E. But it is important to remember that olive oil is used to prepare vegetable dishes, tomato sauces, salads and to fry fish. Fruit and vegetables. A high intake of fresh fruit and vegetables has been shown to be protective against both heart disease and cancer; probably because of the antioxidants they contain. Tomatoes have come under particular scrutiny because they feature so heavily in Mediterranean food. Tomatoes are indeed a major source of antioxidants and heat processing such as cooking, as in the preparation of tomato sauces is recommended as it increases the availability of lycopene, one of the main antioxidants in tomatoes. Oily fish. 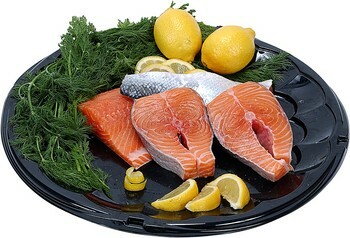 It has also been suggested that fish, in particular oily fish such as sardines, have important health benefits. Oily fish are a source of omega-3 polyunsaturated fats and the complex long chain derivatives of these fats appear to be particularly beneficial to heart health because of their anti-inflammatory and vasodilatory properties, which keeps blood flowing smoothly. Wine in moderation. Throughout the Mediterranean wine is drunk in moderation and usually taken with meals. For men moderation is two glasses per day, for women one glass per day. Wine, especially red wine, contains a vast array of plant compounds with health-promoting qualities called phytonutrients. Among them, polyphenols, which are powerful antioxidants, protect against LDL oxidation and other pathologic sequelae of the oxidative process. Other phytonutrients play a role in the inhibition of platelet aggregation, vasodilation, and the like. Times are changing. But times are changing and nowadays fewer people have the lifestyle to follow the traditional diet. Professor Lluis Serra, President of The Foundation for the Advancement of the Mediterranean Diet (5) believes this is both an opportunity and a threat. ‘Sociological changes mean that people are less likely to spend time in the kitchen preparing food, but at the same time it is a great opportunity for catering outlets and restaurants, especially as Mediterranean people now know that their traditional fare is very healthy’ he said. WOULD YOU LIKE TO LIVE FOREVER? IF SO, GET ACQUAINTED WITH SIERRA SCIENCES. THEY'RE WORKING ON IT.